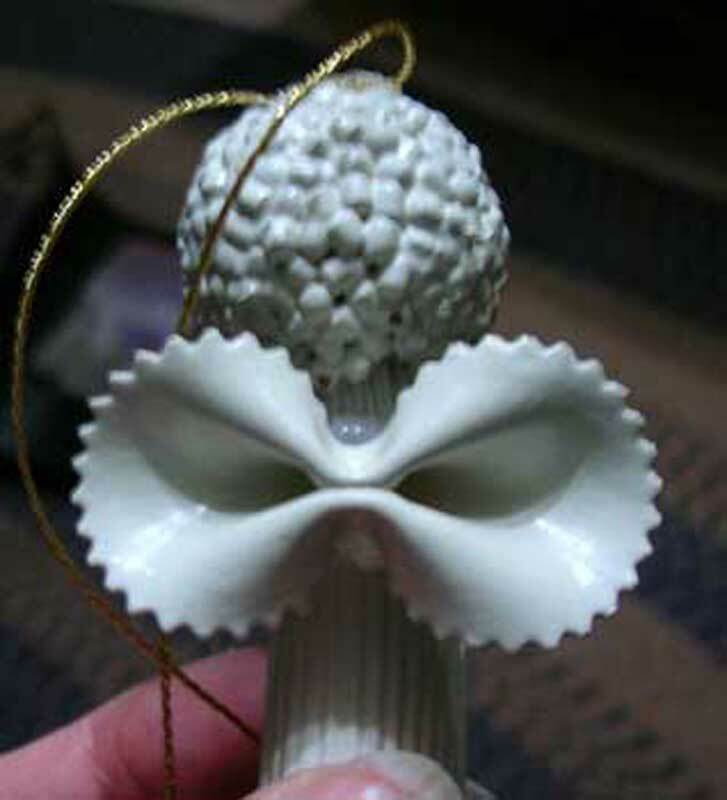 Here is a unique Christmas ornament to make. The noodle angel is made up basically of store bought noodles, then spray painted white after assembled. 1. Use a ragatoni noodle for the body of the angel. Take the 3/4" round head ball and glue with hot glue to the body. Let dry. 2. Next take the acini di pepe pasta (or any tiny noodles you can find) for the hair and put them in a small dish. With a toothpick, put silicone glue on the angel's ball head where you want the hair to go. Leave the front side for her face. After the glue is on, hold the body and roll the head in the acini di pepe pasta in the dish. Make sure there are enough noodles on for the hair. Press noodles down firmly with your fingers or the toothpick. 3. 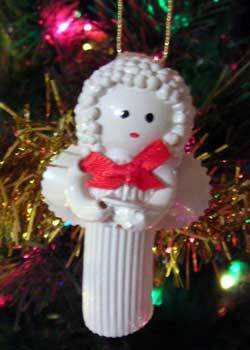 If you want to hang the noodle angel on your Christmas tree, cut about a four inch piece of heavy thread. Fold the thread in half and with the toothpick, work the ends of your thread under the small hair noodles. Let everything dry real good before continuing. 4. Use two macaroni noodles for her arms. Use one bow tie noodle for her wings with the silicone glue. Also put the thumb tack, for her candlestick, on her arms. Let all of this dry before going on. 5. Now you are ready to spray paint the whole angel. 6. 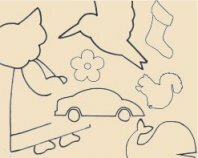 After the paint is dry, use the end of a paint brush or anything that will make a small mouth and eyes. With your paint brush, paint the tip of the thumb tack red. 7. Make a small red bow and glue under her neck. 8. You now have a cute small noodle angel!